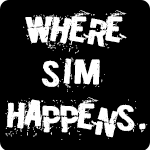 Re: U R Basketball - WHERE SIM HAPPENS! 05.08.2017 Update! NEW 2018 Roster Released! Yup, Harper is on the Cavs. Can't remember if I put him as PG or SG, I think SG because of his size and play style. You're right, though. Smith should be the backup PG on the Clips behind Nixon. I like Nixon just a hair more. I simply overlooked Smith on my list. DiGregorio is now off the team. I then expanded it to any player who was MVP, 1st team NBA, 2nd team NBA, 3rd team NBA, 1st Team Defense, 2nd Team Defense, Defensive Player of the Year, 6th Man of the Year, or Most Improved Player. Then I had to look for extra players for the expansion teams of the 90's and 2000's and the best players from the past 10 or 12 drafts who weren't in Slam's top 500.
slimm44 wrote: Yup, Harper is on the Cavs. Can't remember if I put him as PG or SG, I think SG because of his size and play style. You're right, though. Smith should be the backup PG on the Clips behind Nixon. I like Nixon just a hair more. I simply overlooked Smith on my list. DiGregorio is now off the team. I then expanded it to any player who was MVP, 1st team NBA, 2nd team NBA, 3rd team NBA, 1st Team Defense, 2nd Team Defense, Defensive Player of the Year, 6th Man of the Year, or Most Improved Player. Then I had to look for extra players for the expansion teams of the 90's and 2000's and the best players from the past 10 or 12 drafts who weren't in Slam's top 500. Good point on Harper, he can certainly be either a 1 or a 2. Glad to see Randy Smith being added. I like the system you have for the teams, good stuff. Instead of doing two teams at once, I'll do one team at a time for a preview. Frankly, I don't know what you are going to do against this team. Every starter was an MVP and 4 players off the bench were either 1st or 2nd Team NBA players. You could also bring Malone off the bench and start McGinnis if you wanted to to have a more traditional lineup. Yeah, Malone and Wilt won't give you much range and the paint would be clogged, but look at the rebounding, defense, and inside scoring you are getting with those guys. The only weakness I can see is outside shooting but their backcourt is loaded with Iverson, Cunningham (who played SF but I couldn't bring an MVP off the bench), and Doctor J. This team is focused on defense and has a large amount of athleticism with the Greek Freak and Moncrief at the 2 and 3 spots. With Bogut behind them providing rebounding and rim protection and Cummings being able to stretch the floor with strong mid-range jumper, this team is definitely not soft. With a potential defensive lineup of Quinn Buckner, Sidney Moncrief, Paul Pressey, Greek Freak, and Andrew Bogut, the Bucks will have one of the best defensive lineups in the league. This team could be sneaky in-game but will probably end up being a middle-of the road or slightly worse team when all the franchises have been lined out because they don't have much offensive firepower. The GOAT. Pippen. Rose (pre-injuries). The greatest rebounder in the modern era. 7-2 Artis Gilmore. This team is STACKED. They can run a lineup of Rose, Jordan, Chet Walker, Pippen, and Rodman if you wanna go small. They can run Van Lier, Jordan, Pippen, Rodman, and Noah if you think your offense has the juice. Or they can run Rose, Jordan, Walker, Pippen, and Bob Love and have 118 points per 36 minutes comin at ya. All that without even mentioning Reggie Theus or Jimmy Butler lol The Bulls are easily one of the top 5 teams in this all-franchise league. This team took a big hit when LeBron was placed in Miami. His best season (based on my criteria) was there when he won a championship and MVP in the same season, something he hasn't accomplished in Cleveland. The Cavs, even with Lebron, probably wouldln't have had the chops to stand against the best of the best. They are largely comprised of all stars, with only three players making All NBA Teams, and two of them were 3rd team guys. They are filled with very good players but no great ones. Don't look for this Cleveland squad to bring another championship to town in this all-time franchise roster. This was one of the most difficult teams to put together because they have so many great players in their history that will make them incredibly difficult to beat. The players that DIDN'T make the team could form their own team that would still be better than most other teams. Boston ranks as the 2nd best team in this roster according to my weighting scale where each potential award players were chosen by was given a value then those values were added together. 3 MVP's starting in the front court with 2 first team All NBA players in the starting backcourt. This team comes at you with more size and more skill than most teams but also doesn't have the most athleticism. That being said, their skill, size, complimentary pieces, depth, and mix of old school and new school talent will be incredible on the digital hardwood. Guys, please tell me which files do not have to install, so that there would be an old soundtrack in the game? I REALLY like this team. They have defense, they have scoring, they have shooting, they have Shawn Kemp aka Tupac of the NBA. This dude will dunk on your whole team with no regard for human life. Throw in depth at every position and you have a multitalented team that will probably not be as good as I want them to be...but I'm rolling with them anyway. This team is LOADED. They have one of the best passers and shooters all time in Nash, a do-it-all combo guard in DJ, and possibly the most athletic frontcourt in the league with Marion, Chuck, and Stat. They are going to struggle against teams with dominant big men and/or bigger guards, but they will be able to run and score with anybody. I get the temptation but I'd much rather build a functional team around the 2-3 best players than just play the 5 best individuals. That Suns unit desperately needs perimeter D next to Nash and 3-pt shooting next to the inside monsters Chuck & Amare or the lane is going to be crowded. DJ only gives you defense so I'd play Bledsoe (can defend PG or SG, Nash will be happy), Majerle (3&D, right?) or even the eternally underrated Raja Bell over him. That interior D though... but thinking about it, all these teams have scoring bigs so good, that even the best defense won't stop them, so if they're scoring anyway it might not matter to much if you have defenders that couldn't even stop Kwame Brown. Cliff Robinson (3&D) should see lots of time off the bench and one of Amare/Barkley should always be leadiing bench units so you can have big minutes of Nash/3&D SG/Marion/Robinson/1 of Chuck/Amare which gives you athletic 4-out basketball lead by Nash just like everyone is accustomed to. The Sonics would be sick if they had a player like Westbrook who could reliably penetrate and distort the defense. Afaik, Allen, Ellis & Kemp were best when you created for them. I'd play Schrempf over Baker in the modern era where shooting is king. World B. Free was a combo guard scorer, right? In that case I'd start Redick over him. Griffin & Nixon are going to want the ball in their own hands as much as possible. Bulls defense is crazy but without outside shooting, how are Rose Jordan & Pippen gonna get into the paint? Mike could still bomb away from mid-range though. Can the Bucks run a Moncrief/Redd backcourt with Giannis playing point? Or Middleton instead of Redd even for great D.
You have Iguodala both in 76ers reservs & FAs. Really like the Blazers. I think of Walton as first tier among Cs. He ticks the right boxes: team defense, team offense, scoring secondary. Boston is frustrating to me. For a decent offense you ideally want Bird at PF with Hondo & Pierce on the wings but they have so many great interior players who should get playing time, so going big with Bird at the 3 and whipping that above lineup out as needed seems best. I'd start Pierce & McHale for scoring & shooting while not losing much defense although I'm saying that without really grasping how good of a player Cowens was and if he'd fit next to Russell. Also I finished a season with the 04 T-Wolves and wanted to post about but didn't get around to it yet. Well like we already posted, all of you will be able to change your roster in game. Im more than sure that we need one formula on how to create roster. There is no place for personal choices or preferences. Roster will be based on facts and you will be able to change players and create your own personal all time teams. Slimm did amazing job on creating all time spreadsheet and finding best available formula on which player should be in or not. Please try to compare this one with absurd of 2k18 All Time teams. skoadam wrote: Well like we already posted, all of you will be able to change your roster in game. Im more than sure that we need one formula on how to create roster. There is no place for personal choices or preferences. Roster will be based on facts and you will be able to change players and create your own personal all time teams. Slimm did amazing job on creating all time spreadsheet and finding best available formula on which player should be in or not. Please try to compare this one with absurd of 2k18 All Time teams. I wasn't requesting changes, sorry if it came off that way. I was commenting, maybe creating some basketball discussion. I agree with this, but it's nice to get input from the community sometimes for subtle changes. Like I recommended Randy Smith, and that was implemented. Nobody doubts Slimm, or you, or your work in general. Sometimes we just like to throw out idea's. And, 2K18 All Time Teams is not something I will play as is anyway, because they have duplicates all over the place. I'll be making a more accurate all time teams roster with no duplicates for people to use. Fully agreed and ok, lets discuss. Who said that there must be 3 point shooter? So it means that All Time Bulls will be easy to beat ? Becaise there is sick 2011 Rose, Jordan and Pippen? We should switch MVPs for guys like....Redick? For sake current bball is not something ideal. With old rules most of current all stars wont be so good. Lets stick to the plan and believe me MVPs are MVPs because of some reasons- let them do their job and they will kill you with mid and inside play. 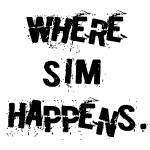 skoadam wrote: Fully agreed and ok, lets discuss. Who said that there must be 3 point shooter? So it means that All Time Bulls will be easy to beat ? Becaise there is sick 2011 Rose, Jordan and Pippen? We should switch MVPs for guys like....Redick? For sake current bball is not something ideal. With old rules most of current all stars wont be so good. Lets stick to the plan and believe me MVPs are MVPs because of some reasons- let them do their job and they will kill you with mid and inside play. I am 100% in agreement with your reasoning. Totally agree. They are severely lacking height off the bench in the frontcourt, but they have a MONSTROUS starting 5 and have 5 high quality guys off the bench. The Spurs have one of the most complete starting 5's in this roster...a true positional player at every player, two 1st Team All NBA players, and 2 MVP's. The Admiral and Timmy make up one of the most dominant big men tandems in the game. If you were to swap out Gervin for Bowen or Green, you'd have one of the most potent defenses in the game. You stupid bastards! What was in my request for what I got a ban ?! For what I asked for help? from Dmitriev2 wrote: You stupid bastards! What was in my request for what I got a ban ?! For what I asked for help? I'm just waiting for Dmitriev3 to come on here now and post something even worse. Most 3rd versions of movies are the worst, I mean.. look at Terminator 3.